The Natural Facelift Massage Facial is a unique combination of facial reflexology, acupressure points, rhythmic contouring and sculpting facial massage techniques. 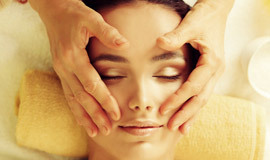 Facial massage stimulates the skin, improving function, protection and regeneration. The muscles of the face lose tone and elasticity over time, and this gentle face massage helps to relieve deep tension giving the facial muscles a lift. Also, relaxing the facial muscles helps to release potentially harmful toxins and helps reduce the puffiness, lines and wrinkles that are caused by facial tension. Referred to as a natural facelift without the need for surgery, using these techniques may help to slow down the ageing process and with regular treatment skin appears rejuvenated, wrinkles seem to be reduced for many and without painful surgery, giving you a ‘natural instant facelift’. The products used for the Natural Facelift Massage is Hydrating Rose Renewing Rose Cleanser with Jojoba and Geranium by Aromatherapy Associates London, Dr Hauschka’s Rose Nurturing Oil and Organic Rose Water toner to refresh. 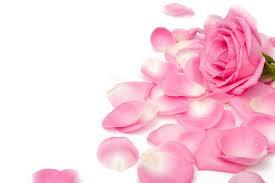 Rose essential oil is a nurturing extract which calms and protects sensitive skin. The soft rose scent soothes the senses, and together with the actual massage will revive and rejuvenate all skin types but will particularly help with anti-ageing. This treatment is incredibly holistic and will reach you on a much deeper level. For optimum results we recommend four treatments weekly, and then monthly. Book a course of six treatments in advance and receive a 50% discount on the sixth treatment. No upfront payment is required.